After some not so subtle hints, we can finally fully report on the next figure in the brilliant Tomenosuke + Circus Posterus sofubi line, Clementine by Kathie Olivas. 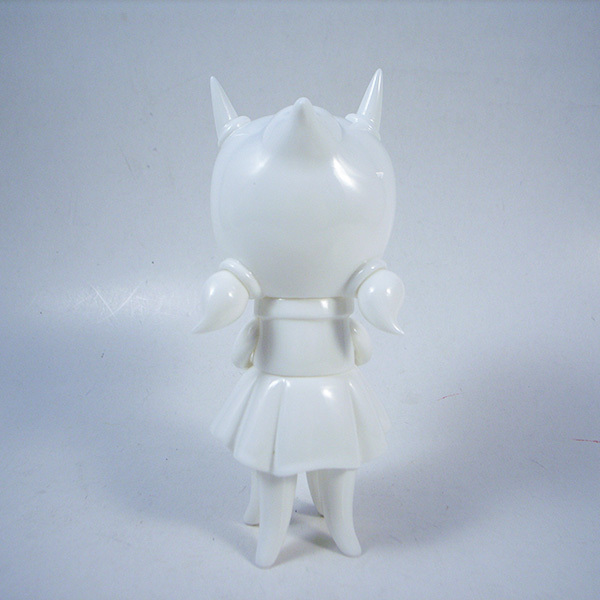 The test pulls are in from Japan, and this little lady is outstanding! Designed by Kathie and sculpted by Yohei of Mirock Toy, Clementine is an ready for mischief around the world in all her pigtail glory. Clementine is a first in our sofubi line because she is articulated at the arms, head, and waist, but ALSO comes with a removable rabbit puppet. Kathie is busy finalizing the final color versions, but we think this lady will be showing up very soon. More info soon, but for now, the turnarounds.